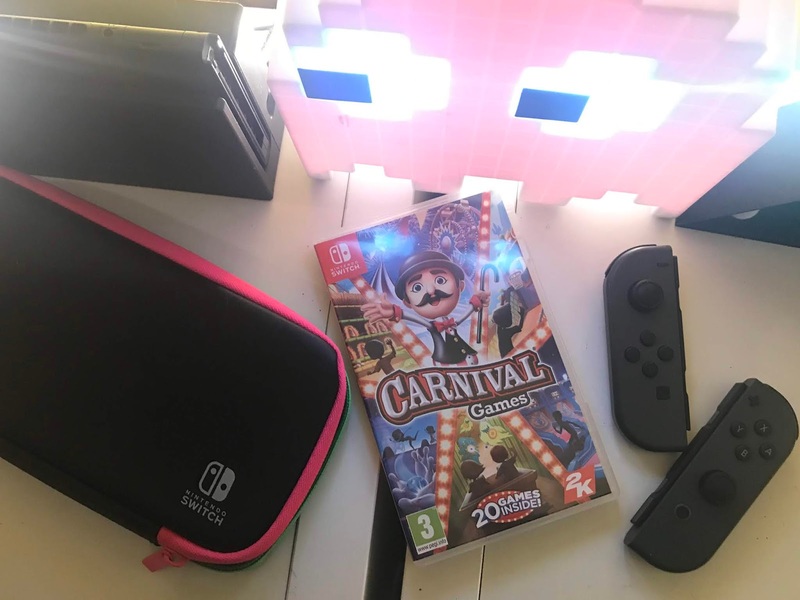 Carnival Games for Nintendo Switch, from developer Cat Daddy Games and publisher 2k, is the latest game in the Carnival series which initially sprang to life on the Nintendo Wii, a console as famous for its shovelware as it was for its motion controls. The Wii game was a poorly reviewed but commercially successful collection of mini-games that went on to become the third best-selling third-party game on the Wii – no small feat considering how well the console itself sold. The newest entry, available now for Nintendo Switch, Xbox One and Playstation 4 is yet another handful of mini-games – 20, to be exact – meant for party play, though punishing unlock requirements, fiddly controls and a poor selection of activities on offer mean this version doesn’t do much to keep your interest or warrant your hard-earned money, even if it is being sold as a budget title. Split across four “zones”: Jungle Lane, Saturn Station, Vulture Gulch and Nuts & Bolts, each with five minigames, the game can be played solo against AI, or with up to three other people via local party play. There are no online options, so this is a game purely for those who with young kids or friends who like to sit down on a sofa and huddle around a single TV (or, in the case of the Switch, the console itself). As stated, Carnival Games features 20 new minigames. These stretch the boundary of what could reasonably be called a “Carnival” game and include bowling, shooting, throwing and pig riding, to name but a few. The main issue here is that most of the games are locked, requiring varying degrees of tickets, awarded through playing games, to open. Some only require 25 tickets, which you’ll earn after a handful of goes or a particularly high score. Others, however, require a ridiculous amount of tickets, up to 1,000 in one case, which means you’ll be playing the other games over and over to grind out the tickets required. It’s not as though this more expensive game is better, longer or even more fun than the others; no, the reasoning for the disparity in ticket prices is beyond me and the grind required to fully unlock all the games isn’t offset by the games themselves being fun to play. 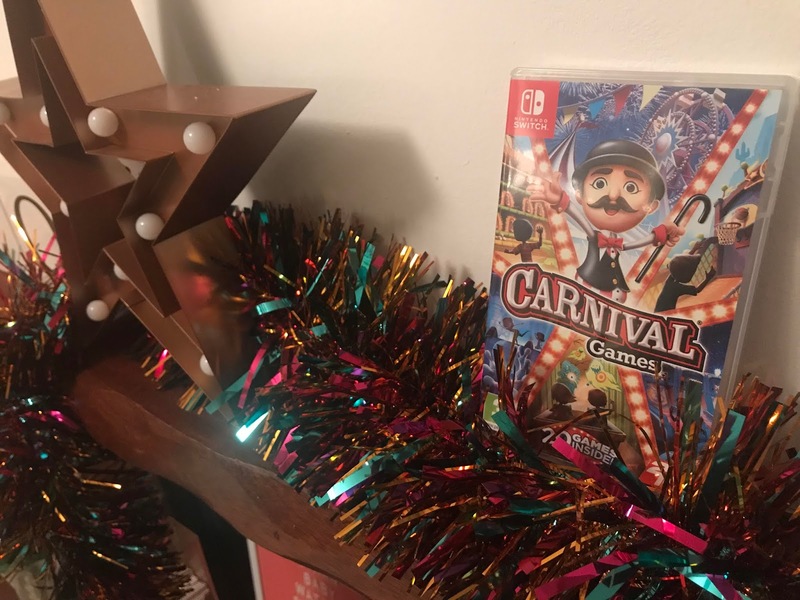 UPDATE FROM PUBLISHER: "We’ve taken on-board the comments made about the number of tickets required to unlock a game and as such, 2K Games and Mass Media Games delivered a patch for Carnival Games on Nintendo Switch, which released last week. This patch will lower the number of tickets required to unlock a game to 25 tickets, allowing players to experience each of Carnival Games’ 20 exciting mini-games at an accelerated rate. This equates to completing a few games of play before a player can unlock the next mini-game." Great news for sure - bravo 2K Games and Mass Media Games! Games can be played in Free Play mode, Tournament or Decathlon. Scores are totted up at the end of each game, tickets are awarded and you’re on to the next. Unfortunately none of the games are actually much fun to play but, thankfully, they’re all rather short, timed affairs, usually over within a minute or so, so if you find one you don’t like, you can comfort yourself in knowing it’ll all be over soon. You can even, if you so choose, disable certain games so that they don’t show up in the rotation. The controls are pretty awful for the most part, particularly for any game that requires you to throw or shoot; in these games, you need to hold down the button to power up your shot, but the metre is constantly going up and down, so unless you get the timing just right, you’ll fluff your shot. Another bizarre choice is the decision to lock motion controls behind achievements. Now, the motion controls are better than the standard, but not enough that unlocking them feels like any kind of reward. The light-gun style games, which include Ghost Blaster, a haunted train shooting gallery and High Noon, a Wild West themed game are absolutely terrible to play with the standard controls, having to slowly drag your reticule across the screen to hit the targets before your opponent does. Naturally, these would feel better with motion controls but even here they fall down, with the cursor often getting stuck on the far side of the screen, meaning you can’t aim at the targets. Considering the pedigree of this game came out on the Wii, you’d think the motion controls would be more accomplished rather than a clearly tacked on afterthought. I don’t know how they even worked on PS4 or Xbox One – presumably through the camera or Kinect – but on Switch, the Joycon acts as a motion controller in its own right. I’m a big fan of good character design. The graphics don’t even have to be amazing if the design is strong, but Carnival Games is ugly. Gone is the option to use your MII as your character; instead, you are given a selection of horrible looking pre-made characters. Alternatively, you can create your own using a very simple creation tool, but you’re limited to four options for body, face, hair, eyes and then a handful of clothing options, some of which are locked behind tickets. The characters are really gross looking, resembling something out of an early 90s CGI movie. This isn’t a game I would normally purchase myself, but my son enjoyed it briefly before asking to play something else instead. He particularly enjoyed the baseball game “Batter Up” and the one that involved jumping around trying to collect bananas. Overall, I can’t really recommend the game, even at its budget price. Depending on your console of choice, you have the far superior JackBox, Mario Party or the Playstation Playlink games if all you need is a fun party game to play with friends. * This game was received for purposes of review, all opinions are our own.